I'm so excited for this year's Valentine's Day when I'm 99% certain I won't be going out that day. To name a few of my preparations are the Valentine's Day hair tutorial raw videos on my computer that I need to edit... and then some Valentine's Day outfits that I need to wear and shoot. Come to think of it, I think I'll be busy on the 14th of Feb! To prevent having a lot of things to write and to blog next month, I'm blogging some of my Valentine's Day inspired outfits as early as now. Here's the first outfit. 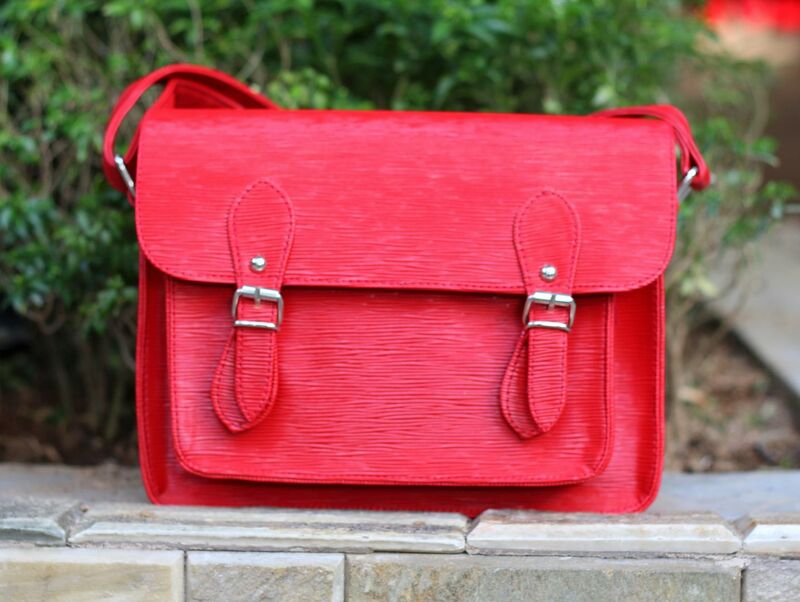 Something really simple and casual that one could wear to a daytime date with family, friends or special someone. Don't you think my outfit looks very much like "pin-up"? 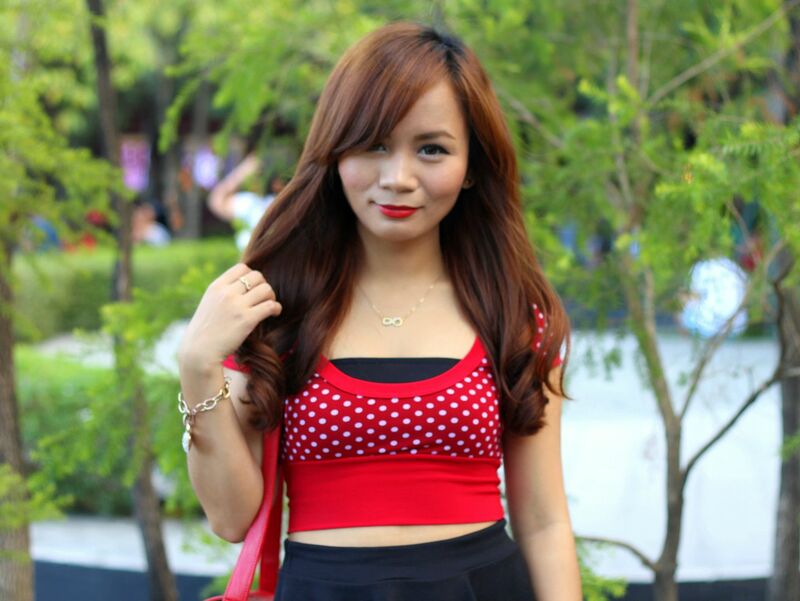 With all the red details, dot-print top, red lips, and my fun eyeglasses, one really couldn't deny. Speaking of my glasses, I was so excited when I saw it at Banggood.com! I mean, it's just so unique and cool! I've had this for quite some time but since it's rather uncommon, I had to wait for the perfect time to let it out. And now is the perfect time! Photo against the sun. What do you think? Please stay tuned for my other Valentine's Day Outfits!